With fishing, as with farming, Slow Food firmly believes that each individual can contribute to changing the mechanisms of a globalized food system based on the intensive exploitation of resources. By rediscovering those different and forgotten flavors that the globalized market tends to erase and creating new or updated recipes, the international Slow Fish campaign seeks to recover communities’ traditional knowledge and ways of eating and to protect the resources of rivers, lakes and seas. To have any chance of success, this reflection must begin at the local level and be developed in a network. For this reason, Slow Fish runs several regional initiatives. One example is the Slow Fish Caribe network (1), which includes academics, activists, chefs, fishing communities and representatives of institutions from countries throughout the Caribbean such as Colombia, Costa Rica, Cuba, Honduras, Panama, Haiti and the islands of Grenada (Little Martinique), among others. Slow Fish Caribe recognizes the importance of working in a network, of exchanging knowledge, learning, experiences and good practices in order to move towards a common vision that promotes and values artisanal fishing in the region, as well as promoting the sustainable use of marine and coastal resources and the management of marine protected areas with a holistic and shared approach. 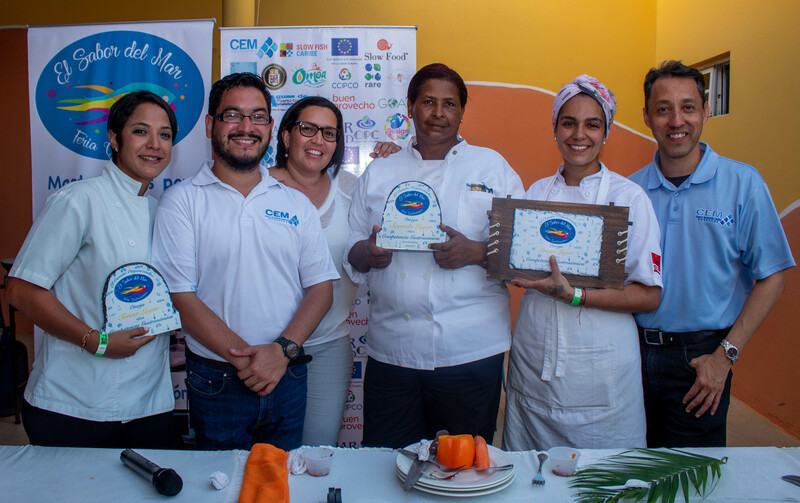 To this end, Slow Fish Caribe participated in a fair, “El Sabor del Mar” (“Taste of the Sea”), held on March 16, 2019, in the city of Puerto Cortés, Honduras. 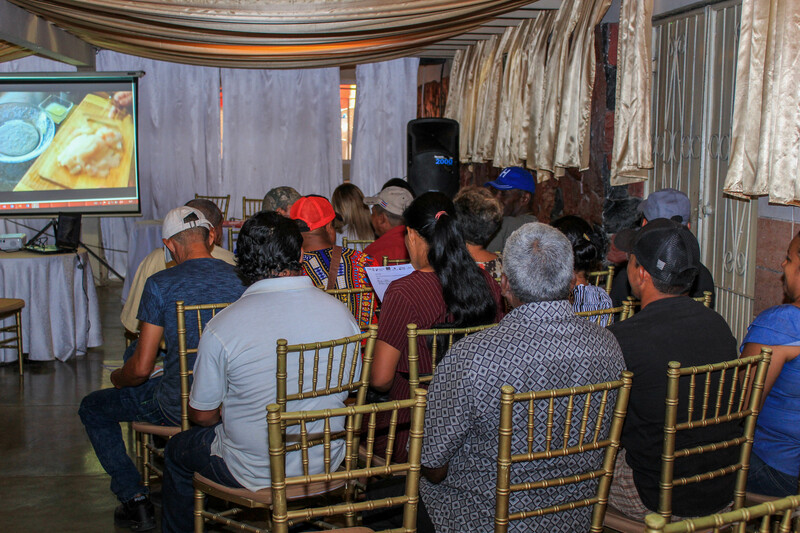 The initiative was promoted by the Center for Marine Studies (CEM) in collaboration with the School of Gastronomy of the Universidad Tecnológica Centroamericana (UNITEC) and was supported by Slow Food and Slow Fish Caribe members. The CEM carries out applied research on coastal and marine ecosystems and has been an active partner of Slow Fish Caribe since 2017, contributing to the expansion of the network and the dissemination of information about its achievements as well as participating in several national and international meetings. 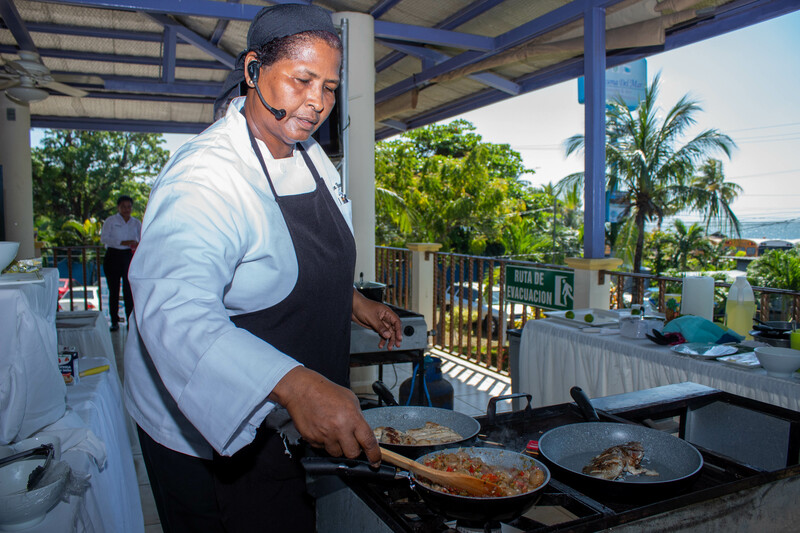 “El Sabor del Mar” was attended by a large number of fishers, chefs, academics and students. With the main objective of promoting the direct sale of seasonal fish—with a special emphasis on less commercially popular whitefish—the fair included tastings of different seafood recipes, exhibitions of seafood products and exchanges of knowledge between national and international chefs, artisanal fishers, biologists, gastronomy and culinary students, artists and the public. 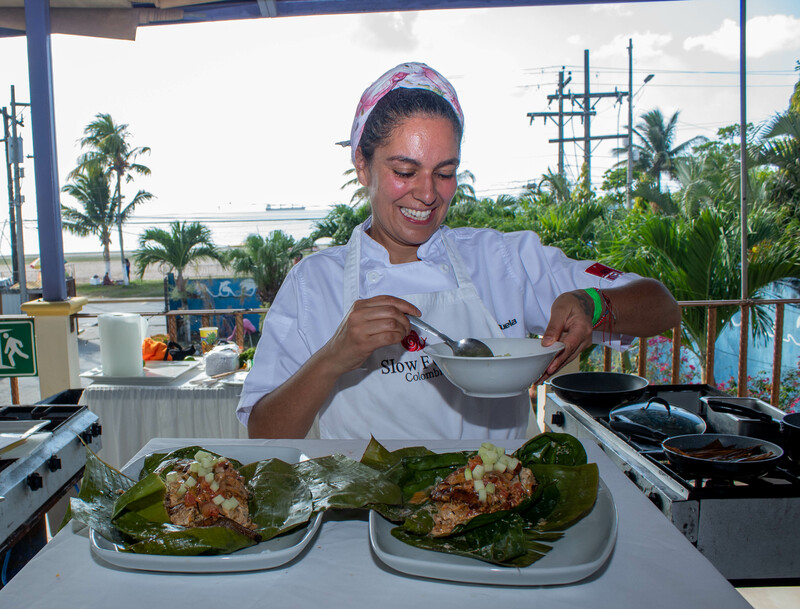 Local culinary schools, chefs and restaurants participated in a ceviche competition. Lastly, a forum on sustainable fisheries aimed to create a space for dialog on the importance of responsible consumption to fishery sustainability and marine governance. The fair also offered an opportunity to further communicate the responsible consumption campaign “Degusta Tu Caribe” (“Taste Your Caribbean”) which promotes the principles of responsible consumption, the recovery and promotion of typical local products and the creation of links between small-scale producers and consumers. Although it includes communities across the Caribbean, the project focuses mainly on three biosphere reserves: the Sian Ka’an and Banco Chichorro biosphere reserves on Mexico’s Quintana Roo coast and the Seaflower Biosphere Reserve in the San Andrés, Providencia and Santa Catalina Archipelago. The project’s objective is to promote the sustainable use of the marine and coastal resources of the Caribbean’s complex, fragile and biodiverse ecosystems, which are suffering from excessive exploitation. The project is supported by the European Union and is being put into practice by Slow Food in collaboration with local partners (Fundación Activos Culturales Afro (ACUA) and Corporación para el desarrollo sostenible y ambiental del Archipiélago de San Andrés, Providencia y Santa Catalina (CORALINA) in Colombia and Amigos de Sian Ka’an and Colectividad RAZONATURA in Mexico), who together with fishing communities, gatherers and artisanal producers are implementing the project and its objectives in their home regions.